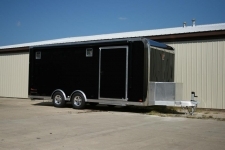 Premium Custom Trailers has never been this easy to find. You can have it your way at RPM Trailer Sales. Custom Aluminum Trailers are our business! 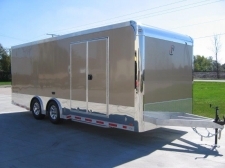 We specialize in custom aluminum race car trailers, stacker trailers, aluminum gooseneck trailers and more. Why should you have to settle for a average stock trailer that may only suit part of your needs when you can get what you want. RPM Trailer Sales is the #1 leading dealership in the United States for custom built aluminum trailers. We are dedicated to helping our customers in designing, building, and providing only the best custom trailer including all the custom options you want and need. 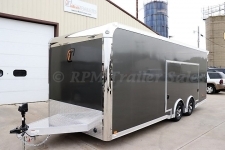 Custom trailers at RPM Trailer Sales can be anything you want – custom cargo trailer, enclosed trailers, custom car trailers, utility trailers. Customize any trailer with add-on features of your choice - never settle when you can have it all. Our only limitation is your imagination. Call our custom trailer specialist today at 706-654-2882.